Natasha Barbolini getting a free mud treatment after some heavy rain. Recent findings of monsoonal activity in Asia as old as 45 million years raises the fascinating possibility that these Monsoons may have triggered a global shift from the warm ice-free Greenhouse world, to the bi-polar Icehouse conditions the Earth still experiences today. Increased erosion and weathering of the uplifted Tibetan Plateau and Himalayas is currently advocated as the primary trigger for the enigmatic pCO2 drawdown that led to global cooling and rapid growth of the Antarctic ice sheet. I am Natasha Barbolini, a new postdoctoral researcher in the Department of Ecosystem & Landscape Dynamics. Hosted by Dr Carina Hoorn, I joined the University of Amsterdam working on the MAGIC research project: (Monsoons of Asia caused Greenhouse to Icehouse Cooling). This ERC-funded project is headed by Dr Guillaume Dupont-Nivet at the University of Potsdam, Germany. 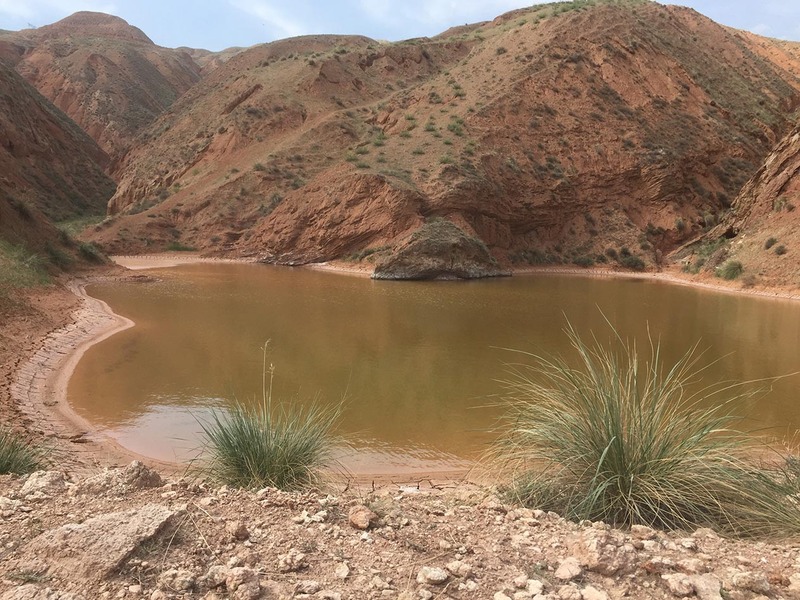 A playa lake in the Xining Basin, surrounded by Oligocene red beds. 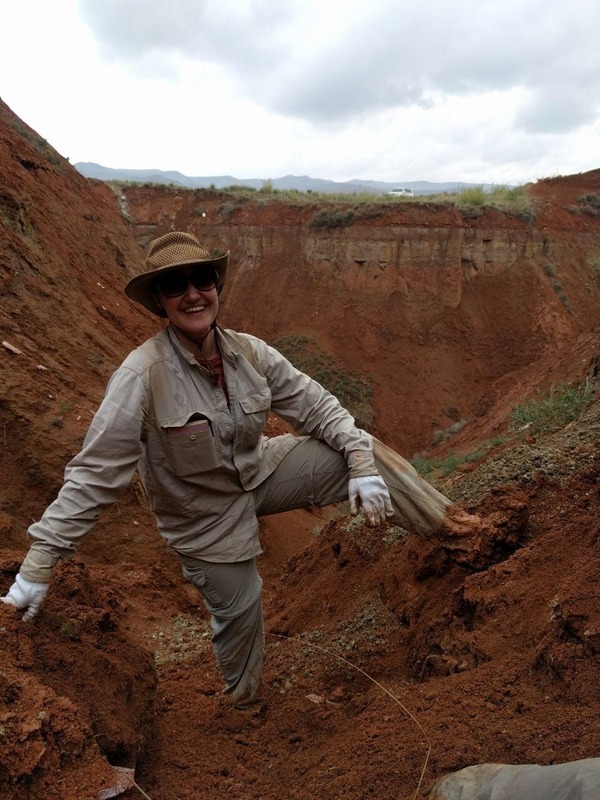 I am investigating the Cretaceous–Eocene palynology and paleoecology of western China and NE Tibet, in order to assist in unravelling the role and behaviour of ancient Asian Monsoons. This should further our understanding of global hyperthermal and cooling events such as the Paleocene–Eocene Thermal Maximum (PETM), Middle Eocene Climatic Optimum (MECO), and Eocene–Oligocene Transition (EOT). Pollen analysis has already proved useful in detecting ancient high-altitude environments on the NE Tibetan Plateau (Hoorn et al., 2012). 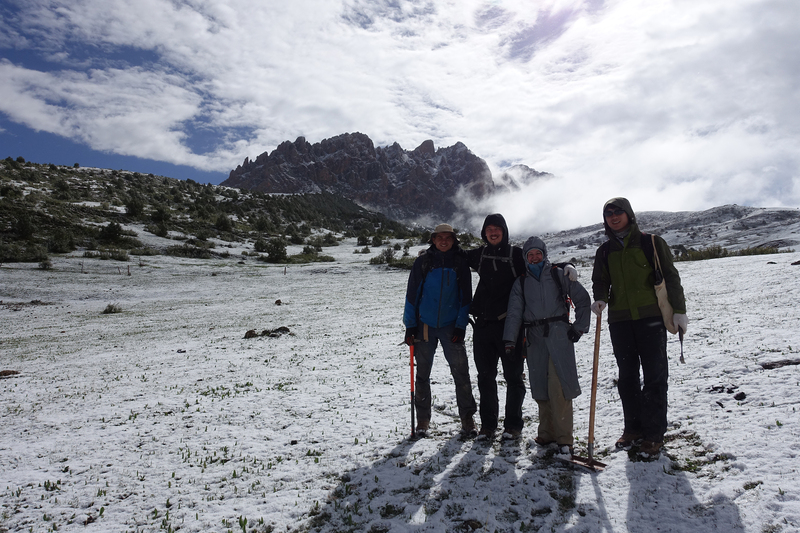 Recently, I joined some other MAGIC team members for a month-long journey to the Qinghai-Tibet Plateau, collecting new palynological, palaeomagnetic, and biomarker samples (150+ kg!) from established and newly discovered sections. By refining the age control and ecological dynamics of these sites, we hope to unravel the role Asian Monsoons have played, together with tectonic uplift, in continental aridification, vegetation changes, and global climate evolution over millions of years. Caught in a blizzard on the “Roof of the World”: Yushu, Tibetan Plateau. From left: Niels Meijer, Alexander Rohrmann, Natasha Barbolini, and Zhang Yang.